It's a toss-up whether Saturday spent stitching on the deck or Sunday spent stitching in the living room was more productive. 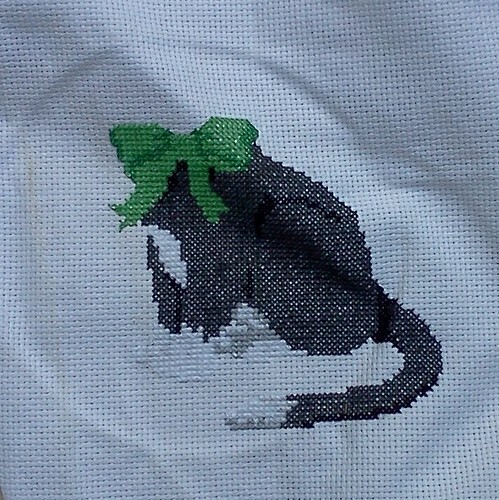 On Wednesday, I finished off the tail. 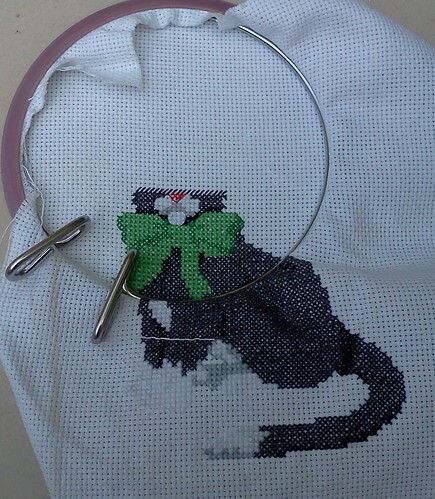 Outlining, when that comes at the end of the cross-stitching, will make the feet more visible. This is what I accomplished on Saturday, in between, "Get back up on the deck!" and lap scratches and encouraging them to just be outside. Oh yes, there's a face there. On Sunday, I finished that face. 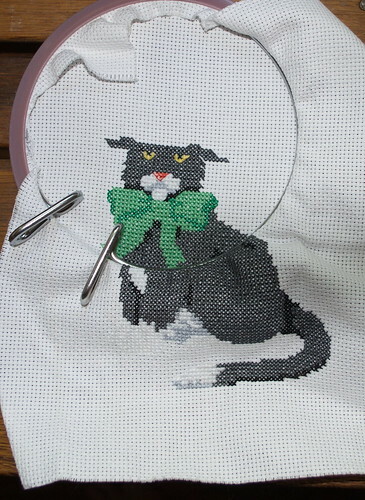 There's a hat and wording left as well as the outlining and it's completed. Perhaps in a couple weeks, I'll be looking for a new project.